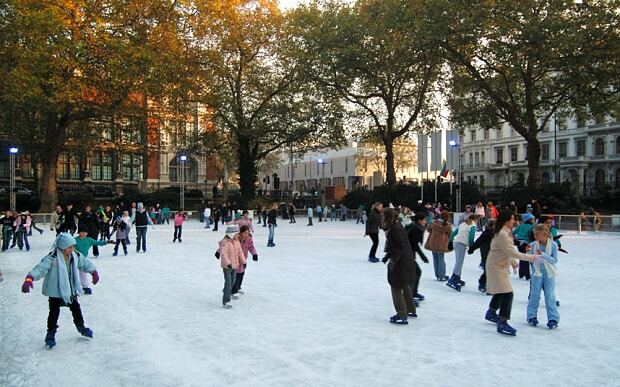 Where in space could you ice skate? – Idiot’s Questions? Under which agreement IBRD was established? How are carats and carob seeds related? How did the centre of the song publishing industry become known as “Tin Pan Alley”? On Europa, one of Jupiter’s moons, it is possible to ice skate, as long as you wore a space suit. A little smaller than Earth’s moon, Europa is covered in smooth ice. Its gravity is only about one-eighth of planet Earth’s, which makes for great leaps. However, Europa temperatures reach about –328 degrees Fahrenheit (–200 degrees Celsius), which means you would be frozen stiff in a nanosecond. The only colder object in the solar system is Neptune’s moon, Triton, which has unique “ice volcanoes” and a surface temperature of –391 degrees Fahrenheit (–235 degrees Celsius). Previous Previous post: How can kids help the homeless? Next Next post: What is air made of?